Energy-harvesting Logimote™ Oil & Gas monitoring sensors take top award in Washington, D.C.
Logimesh Technologies contracted with Czero to help design and engineer Logimote™ wireless sensors that collect data on the health of remote oil and gas production machinery and serve it up as cloud-based decision support for O&G fleets. It’s these devices that won the award for Best Technology Development of Energy Harvesting at the IDTechEx Energy Harvesting and Storage USA conference in Washington, D.C. Logimotes™ harvest thermal energy, enabling battery-free, maintenance-free operation for the 15-year life of these intelligent wireless devices that monitor machine health. The devices measure, analyze, and report on critical machine health attributes, such as the exhaust gas temperature and vibration levels of internal combustion engines in drilling rigs and natural gas compressors. This advanced platform gives operators an “edge-computed,” real-time monitoring solution for machines in remote locations. 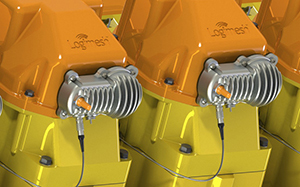 For the project, Czero took an integrated design approach that addressed both electrical and mechanical engineering considerations for interference-free operation of the energy-harvesting wireless devices, plus ease of installation, durability, and safety in an intrinsically hazardous environment. Czero provides full-service mechanical engineering R&D for technology startups, OEMs and government organizations. We can help you develop innovations in electromechanical and electrohydraulic systems and subsystems, and we've helped numerous clients develop new, patented technologies.